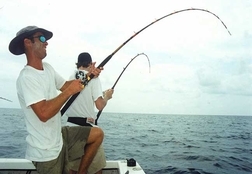 Captain Bill Miller hosts a local fishing show on Tampa Bay's catch 47. 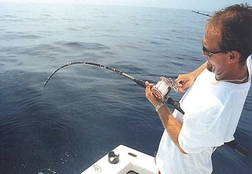 It provides tips and know how for anglers in the local waters. Master Purveyors is a specialized food service purveyor servicing the Gulf Coast, Tampa Bay and Central Florida. Scott Lukacs provides fine tattoo art to the Tampa, St Petersburg Florida area. Whether you're dealing with life changes, loss, stress, anxiety or phobias, hypnotherapy can help you gain control of your life. Sedona Center for Transformational Healing guides you inward to experience inner peace and healing. Fishing Boats by Sabalo Fishing Boats represent a lifetime of experience, knowledge and refinement wrapped into affordable sport fishing boats that really work. Our goal is to offer a highly competitive and exciting tournament schedule for fishermen of all skill levels, ages and fishing styles. Holiday Inn Harbour Side is a beautiful hotel where we dock our boat. If you would like to exchange links with us please copy and paste our link on your site. Then email us the link to the html page our link is at on your page. Call today and find out about recent catch reports and book a trip to see if you can catch the fish of your dreams. 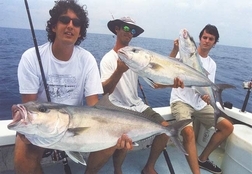 Charter fishing is fantastic in the surrounding waters from Tarpon springs down to Boca Grande. 4 hr, 6 hr, 8 hr & 10+ hr trips available. Book Online today to reserve your spot! 4 hr, 6 hr, 8 hr & 10+ hr trips available. Book Online today to reserve your spot! 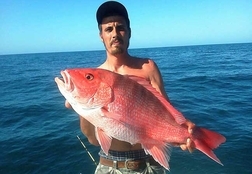 © 2004-2019 Simply Hooked Fishing Charters All rights reserved.